I used to edit a literary magazine with Georgia when we both lived in Montreal. I remember when she hurt her voice and could only speak for minutes a day, if at all, for months on end, resorting to scribbling in a notepad at editing meetings or launch parties. 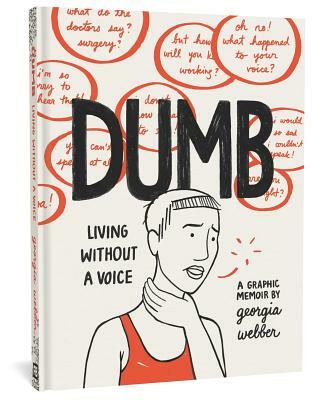 Dumb is not just a comic about, but truly an artifact of that period in Georgia's life. It captures not just the logistical frustrations of not speaking, but the painful existential crisis that accompanies an invisible injury, and the uncertain, endless-seeming path to recovery. An honest depiction of the self through a journey of hurt and healing, in isolation and within community.